The Admiralty Office, Amsterdam, Holland, c1778. 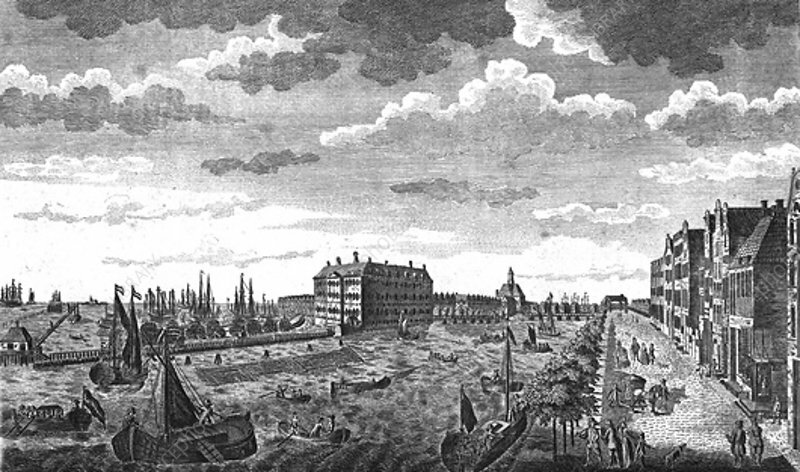 View of the Admiralty Office, dockyard and storehouses. From Middleton's Complete System of Geography.